The original inhabitants of this area were the Caddo Indians. Anglo settlers, mostly from the southern U. S., began arriving in the 1830s. Many obtained Mexican land grants in 1835, and population increased following Texas independence in 1836. 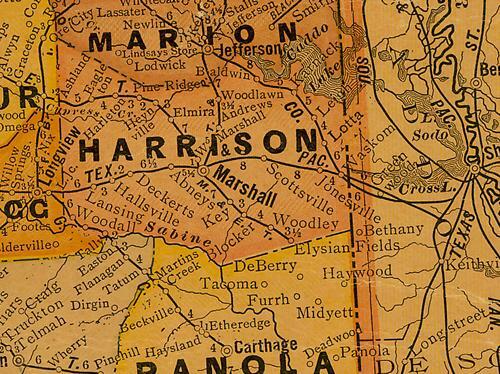 The Republic of Texas Congress created Harrison County in 1839 and named it for Texas revolutionary leader Jonas Harrison (1777-1836). 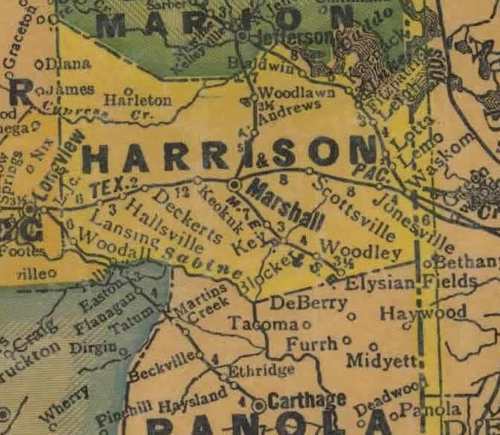 Marshall became the county seat in 1842. 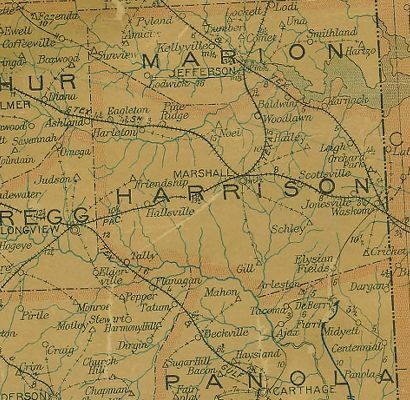 Harrison County was predominantly rural and agricultural, with cotton as the main crop. 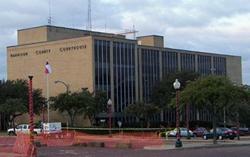 By 1850, it was the most populous, as well as one of the richest counties in antebellum Texas. A strong heritage of slavery prior to the Civil War and the influx of many former slaves after the war resulted in a large black population, as well. 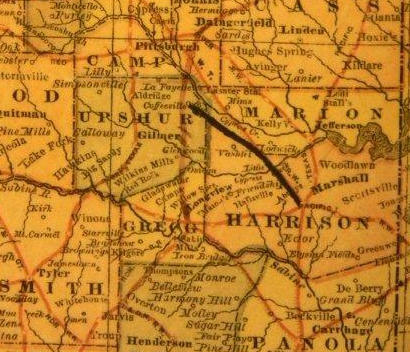 The Southern Pacific Railroad, which built a line into Marshall before the Civil War, became part of the Texas and Pacific Railway system in the 1870s, connecting Harrison County with communities to the east, west, and north. The railroad located its main shops and offices in Marshall, which soon became a major transportation center. The economic base of the county diversified by the 1940s and was no longer primarily agricultural. Named in honor of Jonas Harrison, a pioneer statesman of New Jersey, who came to Texas in 1820. A member of the First Convention of Texas held at San Felipe in 1832. Died in 1836. Marshall, the county seat. Named in honor of John Marshall, chief justice of the United States Supreme Court.